We’ve seen the decimation of oil prices, most notably the loss of jobs and the reduction of new wells or new exponential increases in production. In the pursuit of quantifying the damage, a recent report found that Texas petro-wealth is down $33 billion from 2014’s observations. Blackbeard Data just released its 2015 Petro-Wealth report. In its summary, Blackbeard states that in proved producing reserves, Texas contains $107 billion worth of petro-wealth, down $33 billion or 24 percent from $140 billion in our 2014 report. Out of the $107 billion in worth, corporations own $86 billion, individuals own $15.7 billion and trusts own $3.5 billion. The remaining $1.8 billion is spread between non-profits, educational institutions, religious organizations and the government. 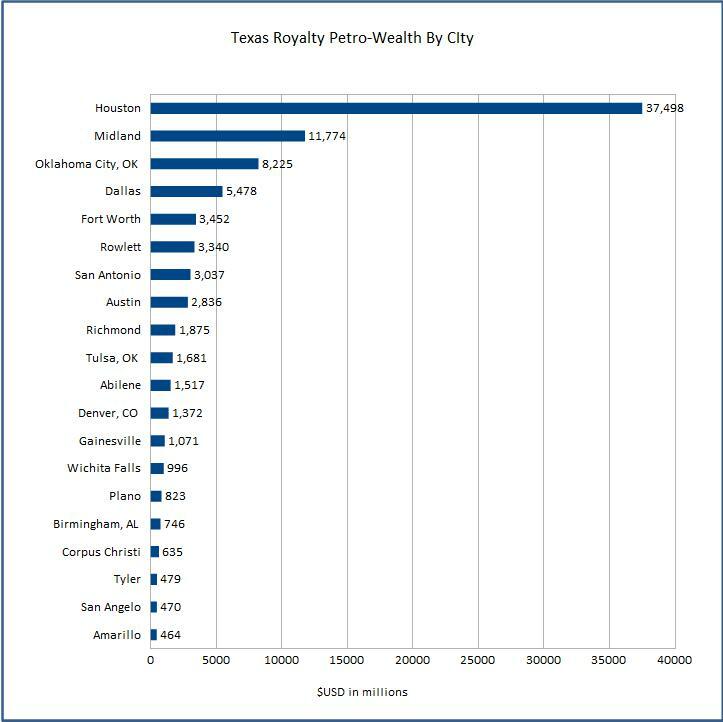 The report also includes the top 20 cities holding Texas petro-wealth. Houston, Texas came in as the number one city worth of $37 billion and Midland, Texas came in second with over $11 billion. Blackbeard Data compiles lease ownership data for all oil producing counties in Texas. From this information, the company pulls out the different classes of ownership, classifies the type of owner, breaks out city sums and then adjusts all sums of all ownership values using the price of oil at the current time of analysis. The hit has been an ongoing adjustment process for the Lone Star state. In March, The Wall Street Journal reported that Texas had lost 25,000 jobs from oil prices pressure. However, data released Friday by the U.S. Bureau of Labor Statistics reveal that other Texas markets could be in an upswing. The data revealed that Texas added 33,200 new jobs — the most added in five months. When we will experience oil job rejuvenation back at promising levels remains unknown.